Very excited about the 2nd Edition of Cultural safety in Aotearoa New Zealand being published by Cambridge Press in December 2015. Caring is an ethical activity with a deep moral commitment that relies on a trusting relationship (Holstein & Mitzen, 2001). Health professionals are expected to be caring, skilful, and knowledgeable providers of appropriate and effective care to vulnerable people. Through universal services they are expected to meet the needs of both individual clients and broader communities, which are activities requiring sensitivity and responsiveness. 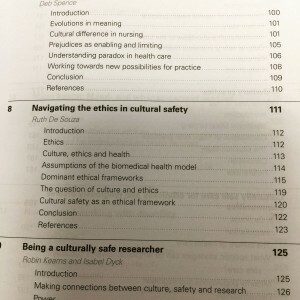 In an increasingly complex globalised world, ethical reflection is required so that practitioners can recognise plurality: in illness explanations; in treatment systems; in the varying roles of family/whanau or community in decision making; and in the range of values around interventions and outcomes. To work effectively in multiple contexts, practitioners must be able to morally locate their practice in both historical legacies of their institutional world and the diversifying community environment. 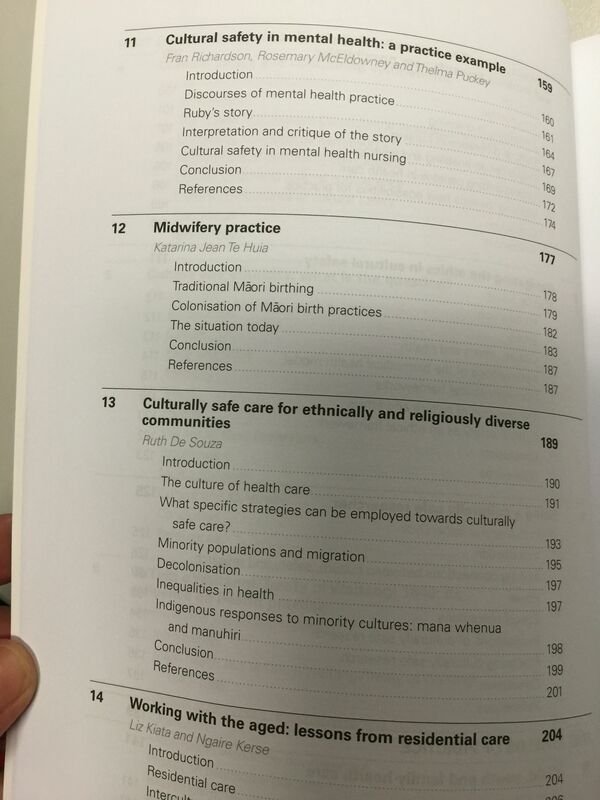 This chapter examines the frameworks that health professionals can use for cross-cultural interactions.I then explore how they can select the most appropriate one depending on the person or group being cared for. 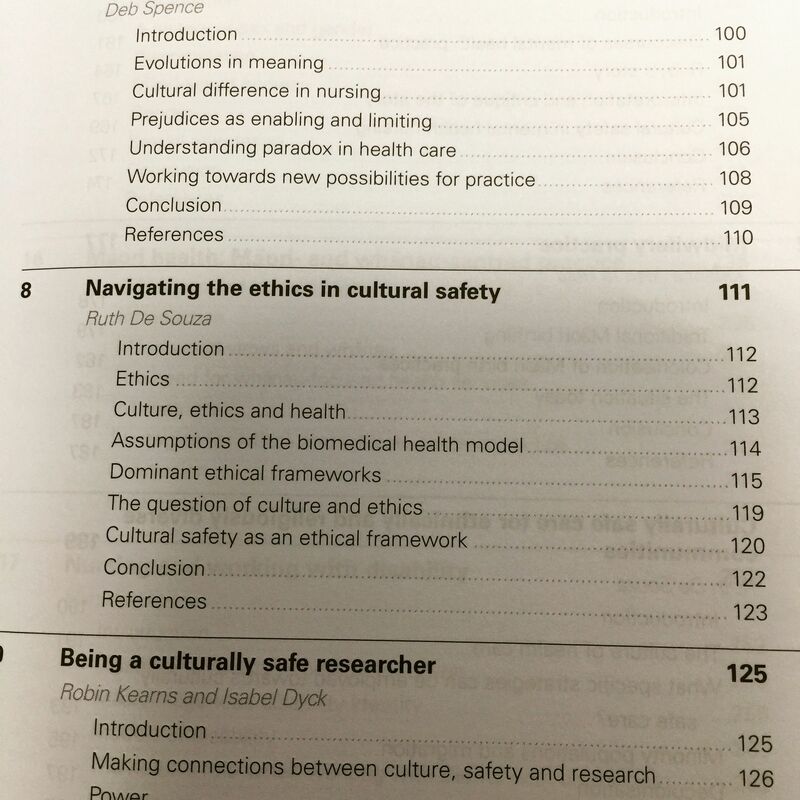 Cultural safety is borne from a specific challenge from indigenous nurses to Western healthcare systems.It is increasingly being developed by scholars and practitioners as a methodological imperative toward universal health care in a culturally diverse world. 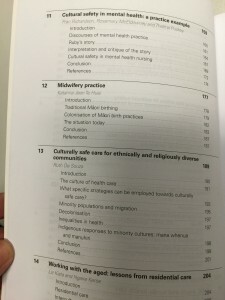 The extension of cultural safety, outside an indigenous context, reflects two issues: a theoretical concern with the culture of healthcare systems and the pragmatic challenges of competently caring for ethnically and religiously diverse communities. As discussed throughout this book, the term ‘culture’ covers an enormous domain and a precise definition is not straightforward. For the Nursing Council of New Zealand (‘the Nursing Council’) (2009), for example, ‘culture includes, but is not restricted to, age or generation; gender; sexual orientation; occupation and socioeconomic status; ethnic origin or migrant experience; religious or spiritual belief; and disability’. Every definition or description of culture comes from the cultural assumptions of the investigator. Euro-US academic culture… is so widespread and powerful that it is thought of as transparent and capable of reporting on all cultures. […] Cultural information should be received proactively, as always open-ended, always susceptible to a changed understanding. […] Culture is a package of largely unacknowledged assumptions, loosely held by a loosely outlined group of people, mapping negotiations between the sacred and the profane, and the relationship between the sexes. Spivak’s discussion of the sacred and the profane links culture to the more formal institution of religion, which has historically provided the main discourse for discussion of cultural difference. Particularly important for cultural safety is her discussion of Euro-US academic culture, a ‘culture of no culture’, which has a specific lineage in the sciences of European Protestantantism. Through much of the 19th century, for example, compatibility with Christianity was largely assumed and required in scientific and medical knowledge, even as scientists began to remove explicit Christian references from their literature. This historical perspective helps us see how the technoscientific world of the healthcare system, and those of us in secular education, are working in the legacy of white Christian ideals, where the presence of other cultures becomes a ‘problem’ requiring ‘solutions’. Cultural safety, however, attempts to locate the problem where change can be achieved in the healthcare system itself. 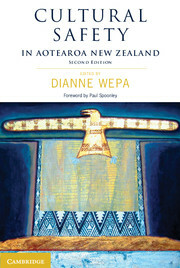 Other contributors include: Irihapeti Ramsden, Liz Banks, Maureen Kelly, Elaine Papps, Rachel Vernon, Denise Wilson, Riripeti Haretuku, Deb Spence, Robin Kearns, Isabel Dyck, Ruth Crawford, Fran Richardson, Rosemary McEldowney, Thelma Puckey, Katarina Jean Te Huia, Liz Kiata, Ngaire Kerse, Sallie Greenwood and Huhana Hickey.